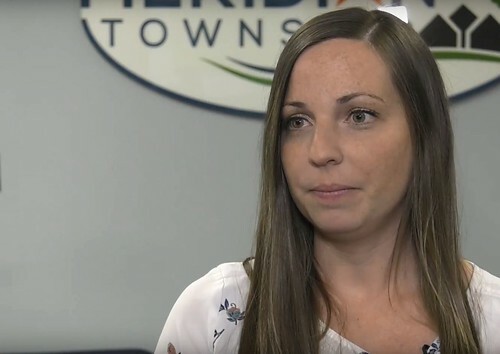 Brianne Randall-Gay being interviewed after the 2nd Meridian Township Criminal Sexual Conduct Initiatives meeting in June 2018. 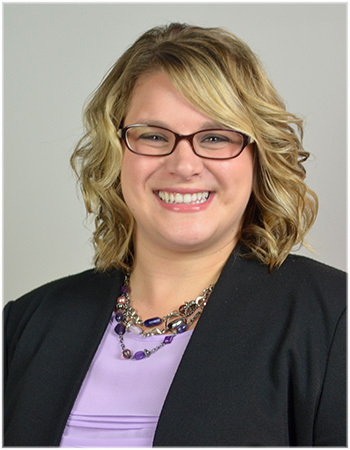 MERIDIAN TOWNSHIP - Brianne Randall-Gay has provided this written statement in response to the independent investigation report findings in regards to the handling of her sexual assault complaint against Larry Nassar filed with the Meridian Township Police Department in 2004. "I want to start by thanking Ken Oullette for conducting this investigation. He was thorough in his examination and was able to provide me with answers to further assist in my healing. I also thank Meridian Township for agreeing to this investigation and for their cooperation. My hope is that other institutions take similar steps in accountability and transparency. The purpose of this investigation was to gain a better understanding of what transpired in order to provide me closure and identify errors that the township could correct to ensure that this does not happen again. There are a few items within this investigation that I would like to address. First is in regards to the meeting that took place with my mom, Nassar and police. I can say with 100% certainty that this meeting did take place. My concern is that Sergeant McCready stated that even if this meeting did happen, he would not have found it necessary to put in the report. It is vital to include pertinent information such as this in reports; the documentation in this case was deficient. Moving forward, Sergeant McCready and the township should ensure that evidence, interviews and other relevant information is properly documented. The second issue that I would like to address is the lack of oversight on this case. With McCready being a new detective, his supervisor should have been reviewing his cases and stepping in if basic investigative work was not taking place. In addition, this case should have been forwarded to prosecutor’s office. It is evident when looking at other CSCs conducted by McCready that it was common practice to forward these to the prosecutor. He and Sergeant Spencer both failed when they made the decision, solely based on the suspects word, that this was a not a crime. Lastly, I want to speak to the issue of the delayed release of my records. I realize from the evidence submitted for this investigation that this was not a call the township made. However, the decision to deny my records for over a year and a half had profound effects on me. Not knowing what happened and feeling as if something was being hidden from me caused anxiety, depression and led to significant strain on my relationship with my family. I have the deepest respect for the AG’s office, but since there were no charges on my case, I believe that as the victim, I deserved access to my records. In addition, the lack of communication as to why these were denied and the resistance I was met with from the township when attempting to obtain these records was very distressing. I hope that in the future victims are treated with respect and compassion when pursuing justice. It is important for me to be honest with my feelings regarding this investigation and failures within the department. However, I struggle with the thought of my words hurting those involved. As angry as I am, I have sympathy for Sergeant McCready and others involved in this case as I do not believe they had mal-intent. I know the overwhelming guilt I feel every day for not pursuing this in 2004 and I can’t imagine the guilt that they too must feel. They made a mistake, a mistake that they will live with the rest of their lives. I offered my forgiveness in the past and I continue to extend my forgiveness to them. My hope is that the evidence submitted in this investigation will help the township address these failures and ensure that they are able to provide victims the support and access to the justice system that they deserve. They have made the initial steps to do this, but only time will tell if their commitment will continue. This will be the one and only statement I will make regarding this investigation. The past three years have taken a toll on my family and me. I look forward to focusing my time and efforts on my continued healing and my family. The above statement was made public on March 26 after a press conference was held in Meridian Township by Township Manager Frank Walsh and Police Chief Ken Plaga to discuss the findings of the 88-page investigative report.